Sights from the Almond Blossom Parade! QUARTZ HILL – Hundreds of residents braved cold weather Saturday morning for the 64th annual Almond Blossom Parade. Festivities began at 9:30 a.m. with a Pet Parade that was followed by the traditional parade, featuring classic cars, marching bands, cheering teams, dance groups and community queens. Spectators waved miniature American flags, as 54 groups of performers walked, danced and marched their way down the parade route. The route began at 50th Street West and Columbia Way (Avenue M) in Quartz Hill. Performers traveled north on 50th Street West and then west on Avenue L-8, ending at George Lane Park and marking the official beginning of the 64th annual Almond Blossom Festival. The Festival continues Sunday at George Lane Park, from 10 a.m. to 5 p.m., and features lots of food, live music, a carnival, local vendors, a beer garden, a classic car show and more! 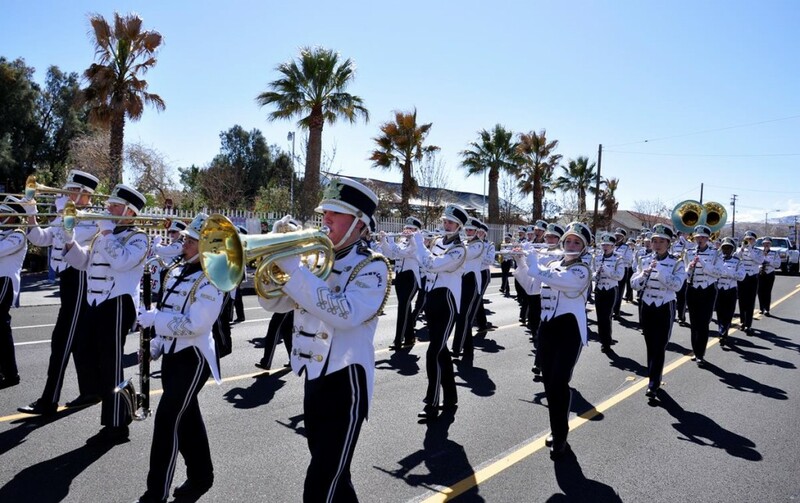 The 64th annual Almond Blossom Parade and Festival is presented by the Quartz Hill Chamber of Commerce with the support of local businesses and the community. For sights from the 64th annual Almond Blossom Parade, visit our Facebook page here.